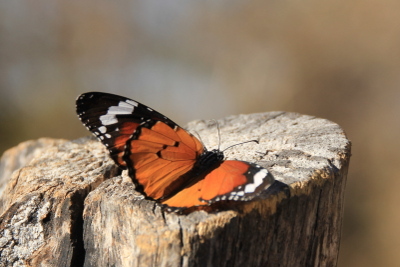 Namibia, May - July 2013 - Caprivi. 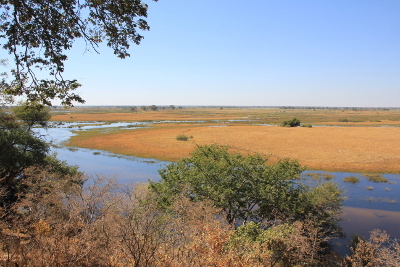 Bwabwata National Park, Mundumo National Park and Camp Chobe. We spent 4 nights at the Nambwa community campsite on the banks of the Kwando River on the Western edge of the Park. The campsite is on an island with a narrow causeway and is surrounded by the river on 2 and a large swampy area. 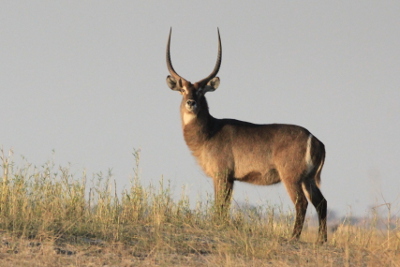 There's a lookout point in a large tree which gives an excellent view over the open area and the group of lechwe was always present there. 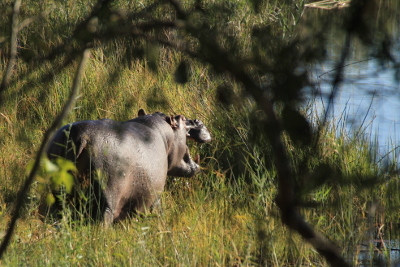 A hippo chomping on the grass near our site. 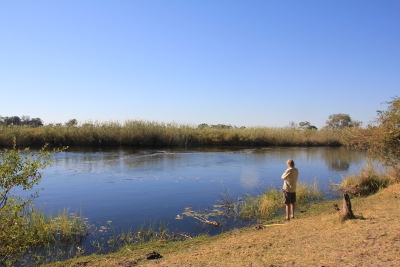 The Kwando River next to our campsite. 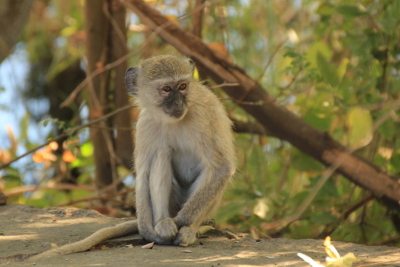 Vervet monkeys were around most days - and ready to steal anything left out of course. Lechwe, elephants and, further back, some impala at sunset on the open area. 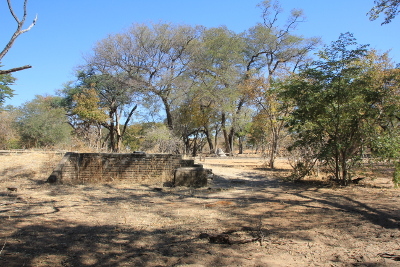 In the Park are the remains of a fort used by South African troops during and after the Angolan war. There's not much left now but you can tell that it covered a large area. Near the fort you get a good view out across the Kwando River floodplain. Sometimes the whole area is under water. 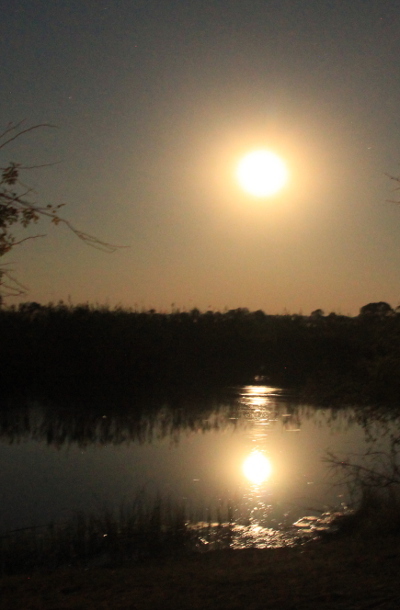 The full moon rising over the Kwando River. 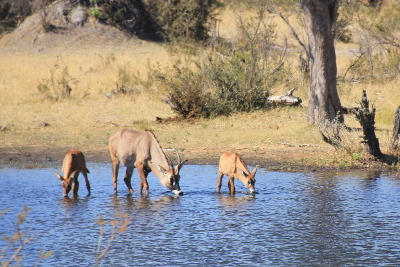 Zebra and roan antelope at the small inlet near our campsite which was popular with lots of animals. There was a great look-out point on top of an old termite mound next to the river between our site and the inlet. The sandy track between sites 2 & 3 is close to the river. 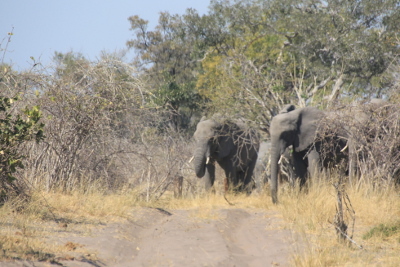 We had to wait for 20 minutes for this group of elephants to move off to a safe distance before we could get past. We stayed at Nakatwa campsite 3 and loved it. There's only a long drop toilet but the location is superb! It's on the eastern banks of the Kwando River with great views. We watched some wonderful sunsets. 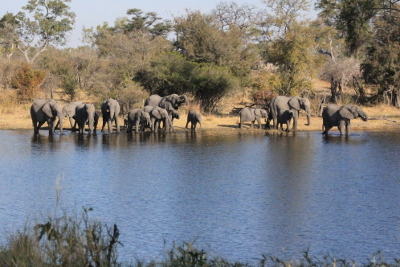 We saw several family groups of elephants every day coming to drink at the river. 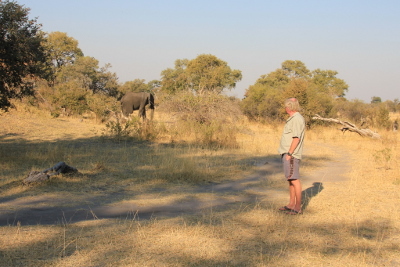 Watching a lone bull elephant passing our campsite. Kevin using our bush shower. 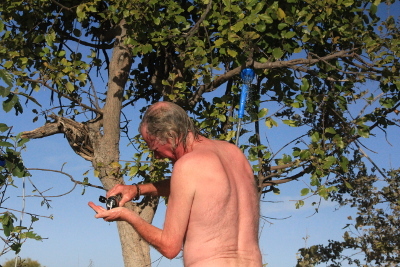 we collected water from the river, heated it on the fire and it gave us a good shower. 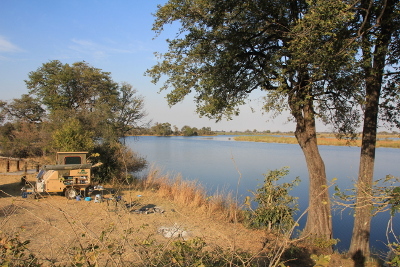 This is a new lodge and campsite on the banks of the Chobe River close to the Ngoma border with Botswana. We took the opportunity to do a late afternoon boat trip . 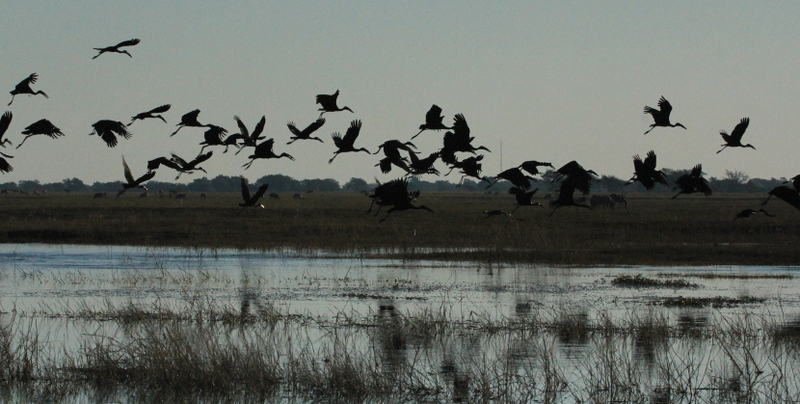 The bird life along the Chobe River is always amazing. Open-billed storks that were disturbed by the boat passing by. 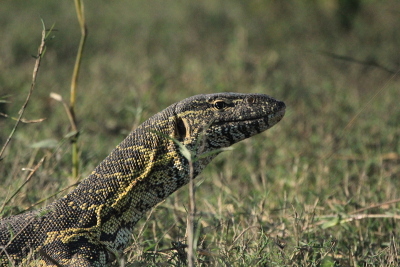 A monitor lizard sunning itself. A majestic male waterbuck keeping an eye on us. Being in a boat allows you to get closer than normal to birds. 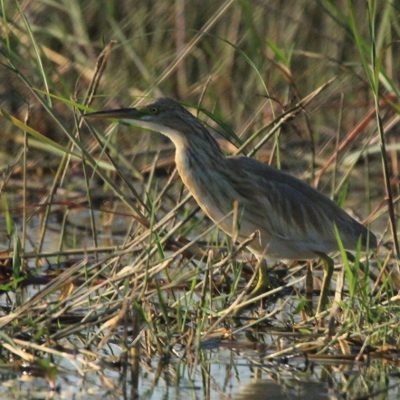 A squacco heron. 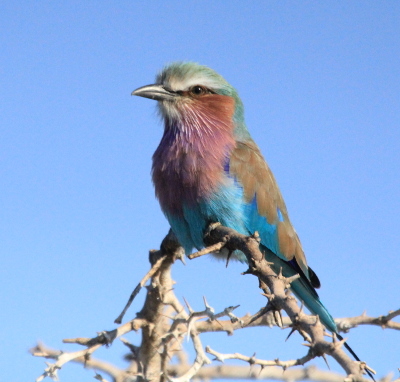 A lilac-breasted roller. One day I'll manage to get a decent photo of one in flight when their plumage is even more amazing. Open-billed storks flying to roost in the trees at sunset. 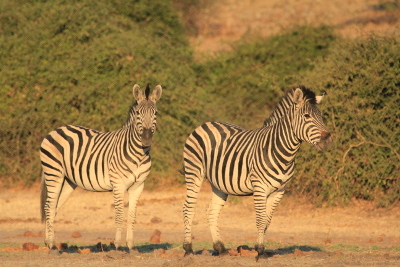 we didn't see that many animals on the boat trip but there were large groups of zebra around.